Apple has finally announced the availability of Mac's next generation most advanced desktop operating system OS X El Capitan 10.11 Golden Master (Build: 15A282b) Candidate Seed for OS X developers, non-developers (general public users) and public beta testers. The OS X 10.11 El Capitan Final and Full Version will be publicly released on September 30, 2015 worldwide; Mac users can also consider latest GMs as Final Build version. The Direct Download Links of OS X El Capitan 10.11 Golden Master Setup / Update .DMG File is available below. Apple's has brought several new features and functionalities into its upcoming OS X El Capitan v10.11 Update, and now its powered by; new split view function of multitasking with side-by-side apps display, copy file path in finder, shared links extensions, find my friends widget, new improved and revamped spotlight and mission control option, new dictionary languages, the all new Notes app, new advanced Safari web browser, airplay video, Arabic and Hebrew dictation, rename from context menu, auto hide menu bar, Chinese multiple-character input, custom font in safari reader, file copy resume, redesigned disk utility, improved auto fill, improved pinyin predictions, keyboard shortcut for Chinese to English, last search, new color picker, new Japanese input method, new system font, redesigned crayon picker, safari top hit in spotlight, strike-through in mail format tab, suggested contacts, flights data detector, suggested events and time to leave, mute a tab, new Chinese system font, re-sizable spotlight window, photos editing extensions, create reminder from share menu and lots more. You can also watch Video Review of OS X El Capitan v10.11 Features below. 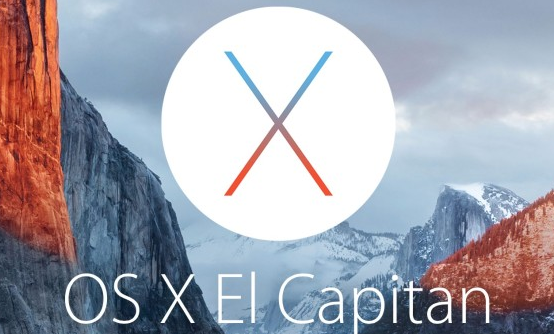 How to Install OS X 10.11 El Capitan GM Manually? All current users of Mac OS X El Capitan v10.11 desktop operating system can instantly upgrade / update by navigating to Mac App Store >> Software Update option officially. If you're OS X developer, then you can head-over to OS X Dev Center website to get OS X El Capitan Golden Master Update. If you're non-developer or general user of Mac OS X, then you can do manual installation and activate OS X 10.11 El Capitan GM version without UDID developer account for free.